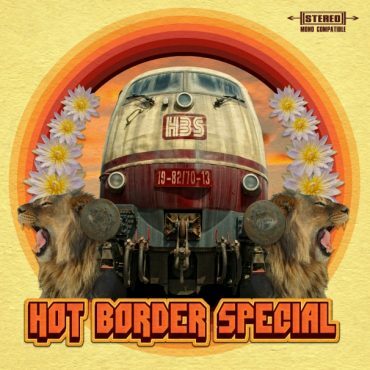 Hot Border Special feature Dan Smith on guitar (The Noisettes), Dan Hale on drums, James Beckett on keys, Paul Elliott on percussion (JetTricks) and Jamie Lawrence on bass (Quantic Soul Orchestra, Heliocentrics, JetTricks). This instrumental jazz funk fusion quartet from London, drawing inspiration from the gritty groove based sound of the early seventies. They deliver analogue synth flavours, drum breaks galore, classy soul jazz guitar, and chunky warm bass. An Ideal sound for b-boys and girls, head-nodders, funk connoisseurs or anyone that wants to express themselves on the floor. Their live performances are an exhilarating experience which, if you appreciate and love live music, you just can’t afford to miss, with dancefloors in and around London dancing and jumping all night to the freshest sound around! 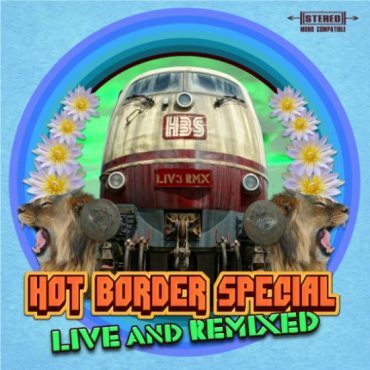 Take a blisteringly energetic and danceable trip with London’s Hot Border Special and their eponymously titled debut long player – There really isn’t anything quite like it. With Influences ranging from afrobeat to rock, highlife to funk, and even a hint towards samba, listening serves to affirm this LP’s effortlessness, it’s an uplifting and joyous audio mystery tour – marvellous surprises seem to be hiding around every corner. The musicianship is tight – raw, rootsy and percussion heavy rhythms underpin lush interwoven guitar melodies – and its seriously rich, so rich in fact that you don’t even notice the absence of a vocalist! This 10 track affair takes you on an exhilarating ride of light and shade – up tempo bangers like El Frantico and Hot Border Express get the bodies moving, while the more dark and sinister tracks like Mulartoo Deetoo and Wei Wu Wei transport your soul to an iboga style trance. 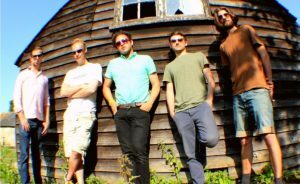 After releasing their eponymous debut long player in the summer of 2014 the south London five piece Hot Border Special established themselves as a fresh and rocking entity on the UK club scene. Playing their blistering, mysterious and psychedelic Afro-Funk fusion has left crowds happy and baying for more all over the country. 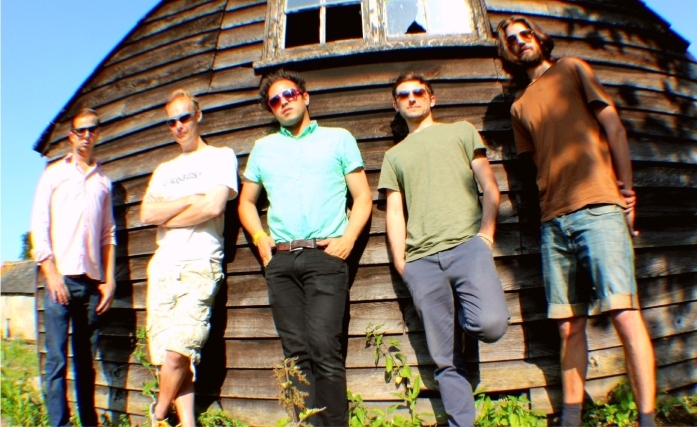 The band headed for the Kent countryside to the sublime analogue Rimshot Studios to record three live favourites – Shockheaded Sweetheart, El Frantico and Tibetan Space Rock. This digital EP release also includes a rousing version of Monty’s Jaws recorded live at the celebrated South London venue The Hideaway as part of the London Jazz Festival 2014. And there’s more…this EP comes with incredible remixes from three of the best in roof raising, feet tapping, head nodding producers! Mr. Bird (BBE) adds his breakbeat swing, Virgil Howe (Little Barrie/Tummy Touch) takes us on a psychedelic disco excursion and new kids on the block Tendaji & Donje bring their African and house influences together, perfectly shaped for the cool and upfront dancefloors.